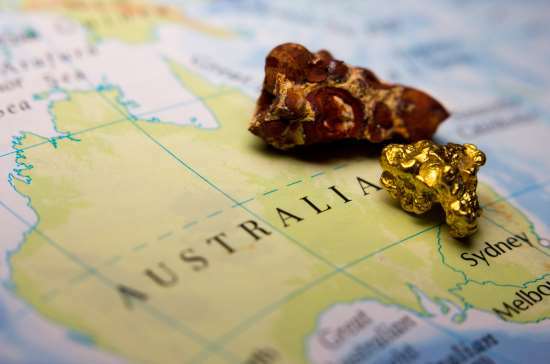 Canadian mining firm RNC Minerals has revealed the discovery of gold bearing rocks in Western Australia that are believed to be some of the biggest in mining history. Two huge quartz rocks encrusted with gold were found in RNC’s Beta Hunt mine in the town of Kambalda, an area of Western Australia’s famous Goldfields region, 60 km South of Kalgoorlie. The largest rock weighs 95 kg with an estimated gold content of 2,440 ounces and worth almost AUS$4.2 million, while a second rock, valued at $2.6 million weighs 63 kg with an estimated gold content of 1,620 ounces. As a result of the discoveries, RNC was able to produce 9,250 ounces of high grade gold from a single blast, which equates to roughly $14 million worth of gold. Mark Selby, president and CEO of RNC, said the discoveries are likely to rank among the largest ever in the gold mining industry. “These discoveries highlight the high-grade gold potential of Beta Hunt,” he said. The Beta Hunt mine had previously operated as a nickel mine, until the quartz rocks were uncovered.